Use the » below to open the legend. Tracking those who commute by driving alone to work shows the reliance most people have on cars in our region. Carpooling and using others modes of transportation can help alleviate traffic congestion. 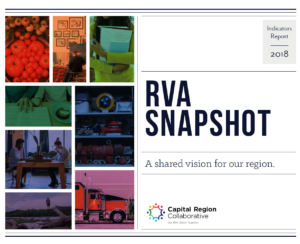 In the Richmond Region, this statistic decreased from 81.8% to 81.2% since 2014.